For too many people, going on a dream vacation can feel like an unattainable goal. While it would be amazing to travel to exotic destinations like Thailand, Australia, Singapore or Jamaica, many of us think that we would never be able to save up enough money to travel to these places comfortably, even if we were able to score last minute vacation packages. After all, most of us have mortgages, tuition payments and other assorted bills to worry about. Night shot of Marina Bay during our Singapore trip – December of last year. Thankfully, this line of reasoning is completely wrong. You can go on that dream vacation, but it will require giving yourself a year’s time to plan and save accordingly. 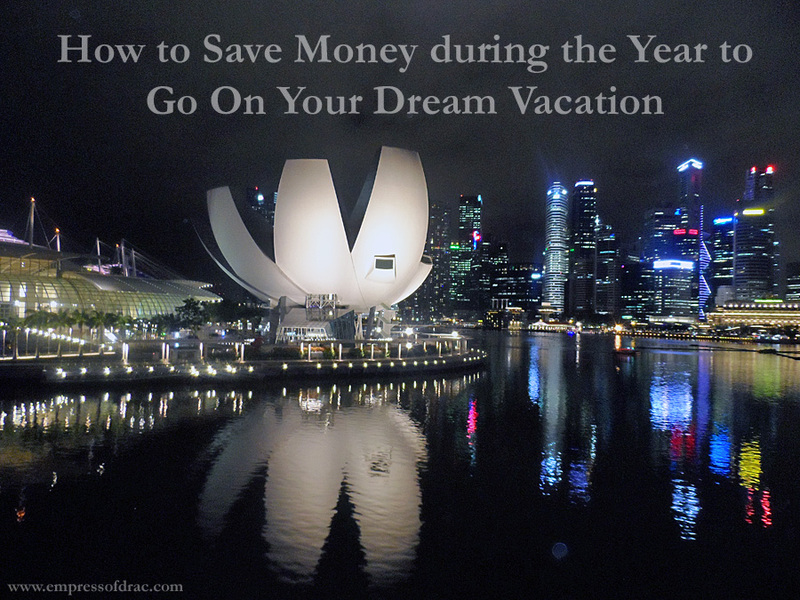 Here are some tips on how to save money during the year to go on your dream vacation. Determine How Much You’ll Need – The first step is to sit down and calculate exactly how much money you’ll need to enjoy your vacation comfortably. While you want to create a figure that you can logically save up in a year’s time, don’t budget too much. After all, you want to have enough funds to truly enjoy your dream vacation. Create a Plan – Once you’ve determined how much you’ll need, you simply need to create a plan determining how much and how often you’ll put money into your vacation savings. This is as simple as dividing your total amount by 12, the number of months in a year, or 52, the number of weeks. It’s a good idea to create a savings account for your vacation money. This way, you won’t be tempted to dip into it. Stick To Your Plan – The most important aspect of saving for a dream vacation is really sticking to your plan. It will be tempting to dip into your vacation savings for little purchases throughout the year, especially around the holidays. However, sticking to your vacation savings plan will be something that you thank yourself for once the time for your dream vacation comes. Get the whole family involved in this year of vacation saving. This is a great way to teach your kids about the benefits and rewards that come with diligently saving money. If you create a year-long plan and stick to it, you’ll thank yourself when it comes time to fly away to the destination that you’ve always dreamed of visiting.